Imperial Valley Family Care Medical Group - Vachaspathi Palakodeti, M.D. 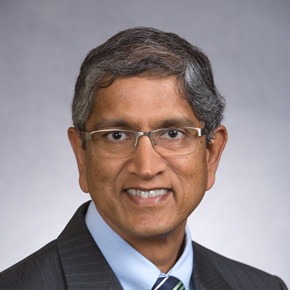 Dr. Vachaspathi Palakodeti is Board certified in Internal medicine and Cardiology. After medical schooling in India, he trained in Internal medicine at University of South Hampton and University of Nottingham in England. He has extensive experience at these teaching institutions during his training in England. He has obtained Membership of Royal College of Physicians of United Kingdom (MRCP-UK) with a license to practice Medicine in the UK by The General Medical Council. Dr. Palakodeti then continued his learning experience by joining University of California San Diego (UCSD), where he completed medical residency and cardiology fellowship and successfully obtained certification by the American Board of Internal Medicine and Cardiology. He is a fellow of American College of Cardiology (FACC). He continues his patient care and clinical research work even to this date at UCSD and is an Honorary Professor of Medicine at UCSD. Dr. Palakodeti is actively involved with the medical community of Imperial Valley. He is the past President of Imperial County Medical Society, the local wing of California Medical Association.